The most important stories today tell young black people that their dreams, voices, and lives do matter. What Inspired *The Hate U Give*? Angie Thomas’ On the Come Up is #1 on The New York Times bestseller list. The #2 spot? Her debut novel, The Hate U Give. It’s safe to say that this chart-topping author is no longer on the come up—she’s arrived. And if that wasn’t enough, On the Come Up is already being adapted into a movie by the makers of the blockbuster film version of The Hate U Give. Thomas’ keynotes resonate with the same authenticity, insight, and hope that make her writing so powerful, and give context and background to the culture, politics, and movement that inspired it. Angie Thomas is the recipient of the 2018 William C. Morris Award and the 2018 Waterstones Children’s Book Prize, and was nominated for the Michael L. Printz Award and the Coretta Scott King Award. She is the inaugural winner of the Walter Dean Myers Grant, awarded by We Need Diverse Books. Born, raised, and still residing in Jackson, Mississippi—and a former teen rapper—she holds a BFA in Creative Writing from Belhaven University and an unofficial degree in hip hop. In this talk, Angie Thomas traces the development of her captivating debut, The Hate U Give—and in so doing, speaks to the heart of race, activism, and social change in America today. She explains why young black people need to see themselves in fiction—especially as they are forced to see themselves, traumatically and routinely, as the victims of discrimination, poverty, and police brutality. She demonstrates why we need more compelling depictions of black girls in art, often lost in discussions of black youth in general. She argues for writing that can turn the merely political into the deeply personal: a way to inspire action and speaking truth to power. And she makes audiences see, and feel, why empathy is more powerful than sympathy—and when done right, that fiction can help us find our voice, or lend it to others. 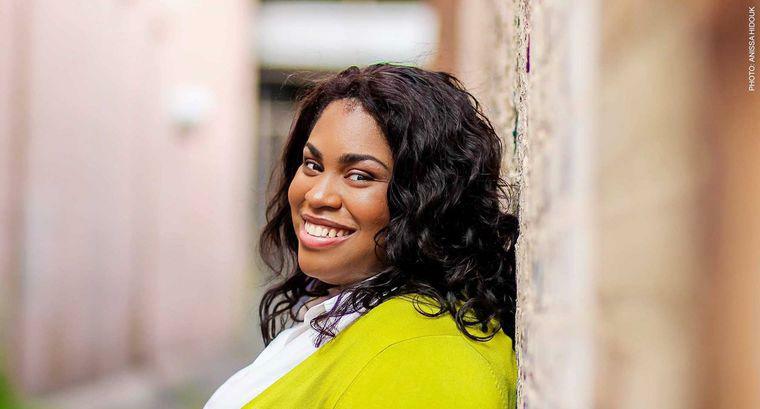 Ultimately, Angie Thomas is the young, outspoken writer ready to hit three truths home: that life fuels art, art mirrors life, and books can change lives. Before we witnessed the killing of Oscar Grant—and before we watched the Rodney King footage—hip-hop groups like NWA were telling America what was really happening on the streets. As Chuck D of Public Enemy once said: “Rap is black America’s CNN.” For decades, rappers have given voice to America’s most marginalized communities—and often better than newspapers, movies, television, or books. For Angie Thomas—herself a former MC—hip hop explains what it means to be young and black in this country today. It gives voice to the voiceless and wraps urban struggle in deft lyricism and poetry. And in an era of increasing unrest, viral tragedy, and very potent outrage, it also connects with the frustration of young black America in such a way that it can be scary. But for Thomas—and for a growing generation of political, engaged artists—these fears are misplaced. If hip hop is a mirror, then we should be more afraid of why so many people are angry in the first place. In this engrossing talk, Thomas explores the power of hip hop—from Tupac to Chance, Kendrick to Nas, Grandmaster Flash to Biggie Smalls—and shows what it can do: as poetry, as connection, and as a vital form of the news. This story is necessary. This story is important. “Fierce.” “Impassioned.” “Oscar-Worthy.” The Hate U Give Movie—Based on Angie Thomas’s #1 Bestseller—Opens Today.